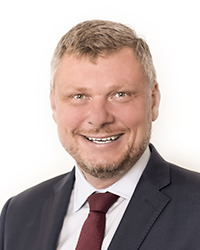 Jiří Bárta is a partner in bpv BRAUN PARTNERS and a leader of real estate law team. In addition, he also focuses on building law, litigations and arbitrations, energy law and renewable resources. He is an author of numerous articles published in the media and lectures at universities. Throughout his practise, he has also taken part in a number of key transactions. Mr. Bárta is also recommended as an expert in the real estate law by the prestigious rating publication European Legal 500.